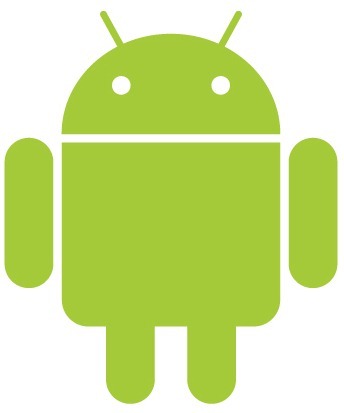 The driving factor behind Android's explosive growth? A push into budget and mainstream devices - something we've already started to see with the IDEOS and Intercept. Samsung in particular is named as making a large push soon, with the other major players entering in soon after. Personally, despite (or perhaps, because of) the fact that I do a ton of work with - and analysis of - investments, I think multi-year predictions are an iffy proposition. 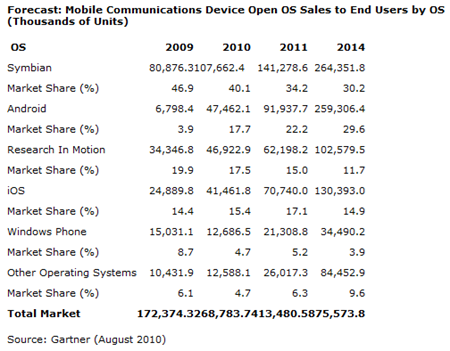 They're even more so iffy in such a highly competitive industry; we have yet to see how Windows Mobile 7 or Symbian^3 stack up, and you never know when a new competitor is going to come in and blow the world away. Think about it this way: 5 years ago, nobody would have guessed that iOS would come onto the scene, let alone steal the show - and yet here we are. Likely something like that will happen in the next few years? Not really, but four years is a lot of time for a lot of things to change.